A few weeks ago I went to go find these basalt columns off of highway 88 near Silver Lake. There was lots of bushwacking since there is no established trail and the cairns that lead you out there are random at best. I found them and they were pretty cool but there was these boulders of granite on top of the columns. I thought the contrasting colors played well against each other. This entry was posted in I wanna climb that!, Landscapes, rocks, Tahoe and tagged hiking, rocks, tahoe. Taken last weekend using my fisheye lens, Bonsai Rock in Lake Tahoe. I’ve seen many photos of Bonsai Rock, usually the best time is late afternoon and around sunset. For this photo I went out early and scrambled down the hillside to the shore and waited for the sun to crest the mountain side. I had the whole shoreline and beach to myself. Recent rains has raised the lake water levels again. I love the clarity of this lake, the blue tones and the rocks under water. 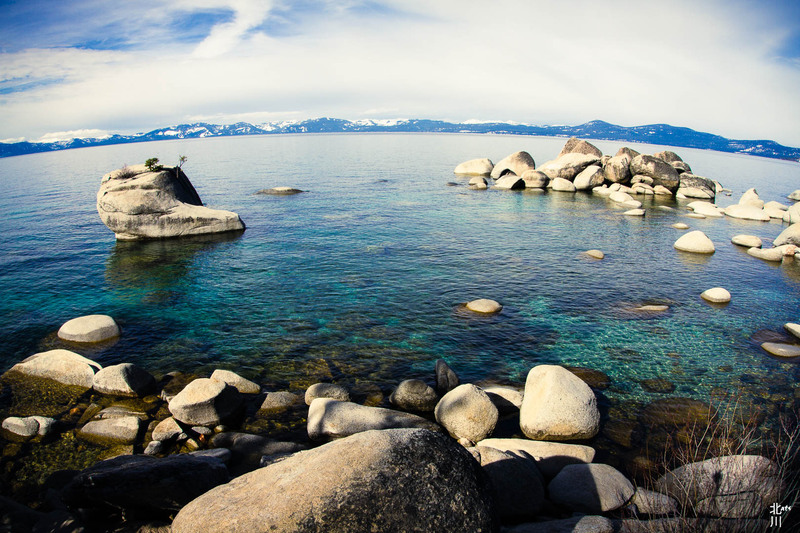 This entry was posted in lake, Landscapes, rocks, Tahoe and tagged Lake, Landscape, rocks, tahoe. This week I pulled #34 from the Lightbox Photography Cards set. “Macro photography is a challenge all by itself with a wealth of subjects for you to choose from.” I took several photos that I thought fit the criteria of the challenge. The hardest part of this challenge? Getting close enough to the subject meant sitting or lying down in the dirt and rocks. Simple Orange Flower with the sun making the colors pop! Saw this oak acorn on some recycled glass used in a landscape feature. Puppy Winry also fast asleep after playing with her sisters. Hoshi with her bone close by. 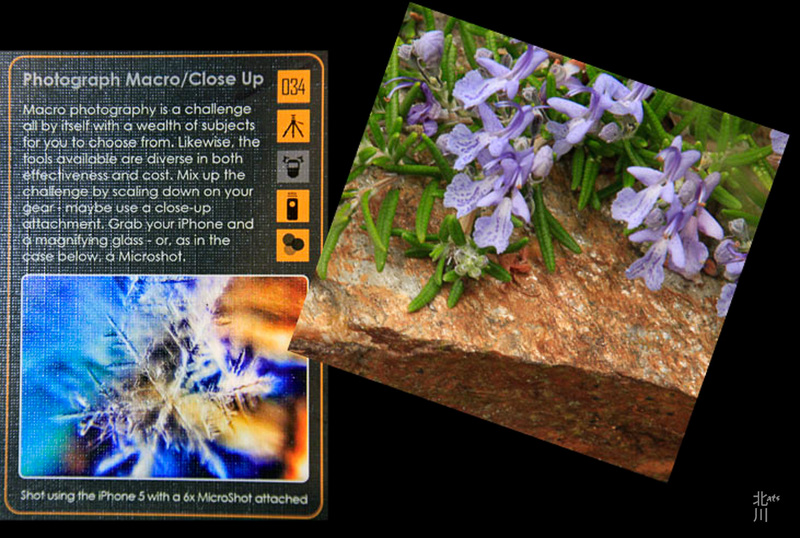 This entry was posted in Cool, Dogs, Flowers, rocks and tagged Dogs, flowers, Photo Challenge Cards, rocks. Been back from my Southwest trip since early March. I had so many photos that I wanted to post from that trip that it’s taken me all the way into May. Now, for some shots from other adventures on the West Coast. Towards the end of March we ventured into Nevada to look for the Lagomarsino Canyon near Virginia City. Over 2000 petroglyphs have been recorded. The site is believed to be over 10,000 years old. This entry was posted in Cool, I wanna climb that!, Travels and tagged hiking, rocks, Travels. This entry was posted in Birds, I wanna climb that!, National Parks, Travels and tagged hiking, Landscape, rocks, Travels, Utah. Finally made it to the Bisti Wilderness in New Mexico. An area in the North Western part of the state. After finding the parking lot and hopping a few cattle fences the landscape changed dramatically after about a 3/4 of a mile. This entry was posted in Cool, rocks, Travels and tagged Bisti Wilderness, hiking, Landscape, New Mexico, rocks, Travels. 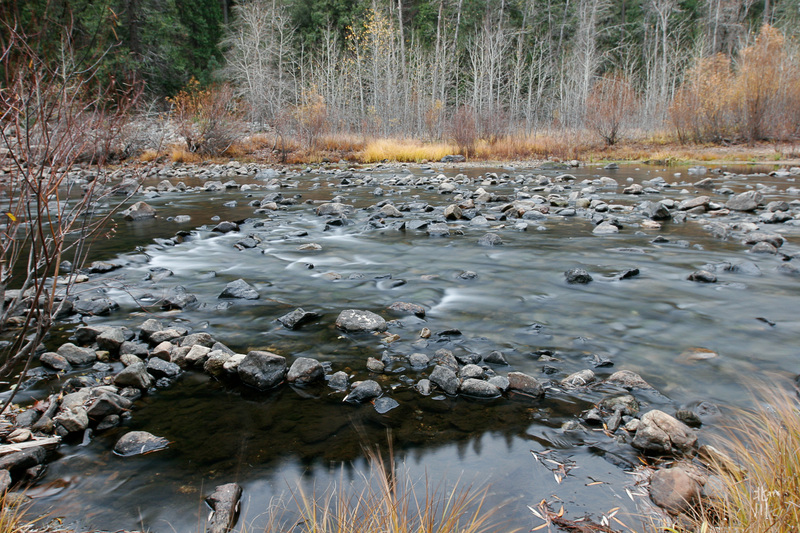 This entry was posted in rocks, Water and tagged river, rocks, Yosemite.